I have seriously been MIA from the blogging scene for a while now! Unfortunately, terrible circumstances surrounding Christmas and New Years meant I decided to take a bit of a step back from everything and spend time with those that I love, so although I have missed my blog (and am sorry to anyone that has missed it), I do feel my reasons were in the best interests of those closest to me! Not only have I neglected my blog, I have also neglected my NY resolutions- the annual “Exercise more + Eat better” resolution did not even get a look in before I was tucking into my 14” Meat Feast and the remains of my Christmas chocolates! So I have decided to start again… And as today is Ash Wednesday, aka the start of Lent, I think it is as good a time as any to give up the junk food and start on my new health kick! 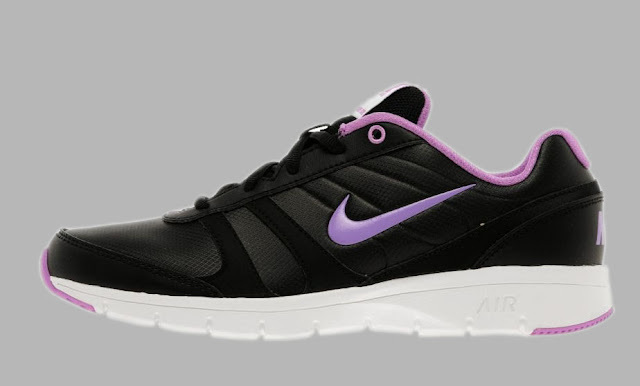 Of course some serious motivation is needed and I have found it in the form of my newly ordered trainers. The Nike Core Trainers are entry-level (of course) running shoes incorporating Nike Air technology to add a spring to the step! I have gone with some simple black beauties to prove how seriously I am taking this gym lark… and at £52 they don’t exactly break the bank. 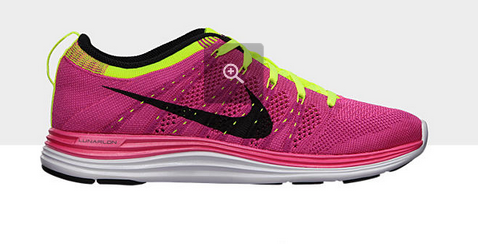 Unlike Nike's latest creation, The Nike Flyknit Lunar1+. Retailing for the slightly higher price of £140 (store.nike.com), the Flyknit Lunar1+ is the result of four years work from the Nike production team and was designed based on feedback from some of the most elite runners and athletes to create a featherweight, flexible design that is described as a 'second skin-fit.' With their shocking pink and flash of yellow they would certainly make a bold statement, ideal for any fashion conscious, hard-core runner. £140 is by no means an unreasonable price tag for such a shoe, however, unfortunately for me it is slightly out of budget right now! But if the shoes are this good, perhaps I will embrace this new found fitness freak a lot quicker than first thought... I will keep you posted!